A Model of Youth Ministry – Fr Hugh Thwaites. Reflections from a CYM course member, St Anthony of Padua Church, Anerley. 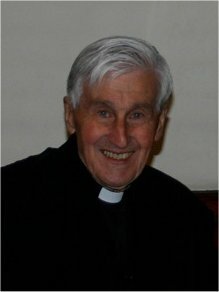 As a young lad in the 1980’s, I was privileged to know a wonderful priest by the name of Father Hugh Thwaites who ran a boys club at his Jesuit funded house in Loughborough Junction; it was a club ran by Father Thwaites and an undergraduate who wanted to be a teacher. Funds and resources were few and far between but there was never a dull moment and the activities and games we played were amazingly good fun and the time spent with other kids in a place with a good catholic atmosphere will always be warmly remembered by myself and the other kids that attended.